North America is one of the best places in the world to travel if you have mobility problems or any kind of physical disabilities. 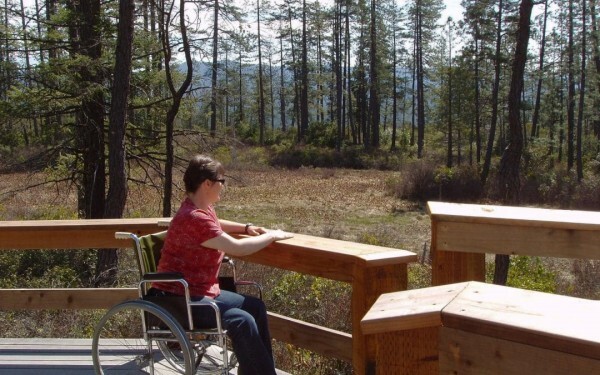 Public buildings are required to be wheelchair accessible and provide suitable facilities. The Americans with Disabilities Act also guarantees that travelers with disabilities receive equal treatment under the law. Unfortunately, while this would be the case in a perfect world, it doesn’t always work out that way in real life, especially in foreign countries where accessibility regulations vary widely. So what if you want to hit the road and explore the world with reduced mobility? Here are a few tips that will go a long way and make your trip much more comfortable. Service providers are required to accommodate travelers with specific needs, this is the law. However, don’t forget that most of them will need some time to make the necessary arrangements. So don’t hesitate to call and describe clearly your disability. Not all service providers know how to deal with accessible travel. They also don’t always know the medical terms for certain conditions. Give them as many details as possible about what you can and can’t do, and don’t downplay the severity of the disability. The more information they have, the better they will be able to accommodate you. Talk with your doctor, of course, explain precisely where you are heading and ask for advice. Be also ready for a “no-go”, unfortunately, this can be an option, but you know the saying: “better safe than sorry”. In that case, let’s find a plan B to a more accommodating destination. Bring extra medication. Many experts will advise you to travel with two complete packages of essential medication in case of emergency. Store all medications and other necessary medical supplies in your carry-on bag… in case the checked luggage gets lost. Yes, that happens much more than you think! When you decide to leave for a trip, depending on your destination, be prepared to hear many people telling you that it will be dangerous, difficult… if not impossible. Yet with a lot of motivation, patience, and resistance to administrative requirements, the adventure is not that complicated. You’re the only person who knows if you can do it, if the project is not crazy. So breathe and take some time to listen to yourself. The first obstacle is mental. Many people with disabilities think that they are not able to travel because of their disability, or they are simply hesitant about it. Getting out of your comfort is never an easy thing, whether you have a disability or not. But once you cross this mental barrier, you realize that exploring the world is within your reach. And it’s so worth it. You probably heard this saying: “In life, it’s not where you go, it’s who you travel with”. This very accurate tip works for everybody, with or without a disability. But it applies even more if you need help with daily tasks or care … The choice is not to be made quickly because a traveling companion will have to support you, accept your limits and to make sacrifices, and also understand your point of view. Of course, you will have to do the same for them, so he/ she must be a trusted person, accustomed to your lifestyle. But that’s not it. Let’s talk more generally about a company and help during your trip. Every traveler necessarily relies on other people. Whether it is the porter who brings your bags to your room, the bus driver who tells you which way to go, the cleaning lady who cleans your room – any traveler, anyone depends on the assistance of others. We need to demystify the caregivers, who make life possible for many of our peers in the disability community. There is absolutely no shame in getting the help that makes our lives easier. “In general, the developed countries are easier to visit for a person in a wheelchair or experiencing reduced mobility. The infrastructure is more accessible and some travelers report being impressed by the attention given to people with reduced mobility in Finland and Australia for example. Depending on your mobility, bloggers did not encounter any major problems in Brazil, but on another hand, Bali seemed to be a more difficult trip. Also look for information about disability groups in the places you are going. They have the best access to information, and sometimes, they can show you the best spots. Health is the most important, you will have to make some choices and be ready to leave some area off of your bucket list. For example, rethink places where the altitude is too high (don’t try venturing to the tops of the Andes Cordillera). You also might want to avoid locations with too much humidity or places too dusty (so no deserts) that will make you uncomfortable. Lonely Planet also just released an Accessible Travel Phrasebook. Volunteers collected disability-specific words and phrases and translated them into 35 languages. Definitely a must-have! If you have a mobility issue but are not wheelchair bound it can be tempting to save room in the car by leaving your favorite mobility devices at home and either renting equipment at specific locations or limiting your movement while on vacation. We always recommend packing your own support system. You want to enjoy your vacation and not having a device to assist you can leave you feeling limited, in pain, and frustrated. If space is an issue for you then we recommend checking out devices like ours the BiKube which is packable and has been specifically designed for use in small indoor spaces that aren’t necessarily fully equipped to manage a larger mobility device. With a great turning radius and the ability to maintain eye contact the BiKube can help you remain social at a packed bar, maneuver around a small hotel room with ease and this may just be our personal opinion but we believe it will make you look cool as well!